I can remember sitting in my house in Gilroy, getting a phone call from coach about my acceptance into Stanford. 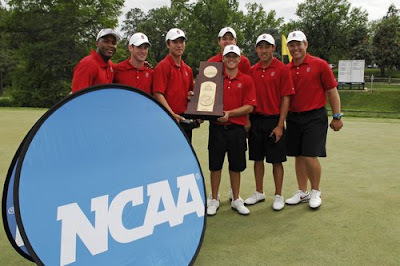 At the time, Stanford golf was ranked in the top 50 in the country, yet I was excited. I was going to a school that had won every Director's Cup, had players like TIger Woods and Tom Watson as alumi, and excelled in academics and athletics. I can confidently say that these past 4 years have well exceeded my expectations. Fast foward time and 4 years later, I'm sitting in my dorm room as a senior, co-captain with senior Dodge Kemmer of a top 5 ranked Golf team, with the potential of contending for a national championship. Much has changed both for me and the program, and it has been an amazing journey. I have a NCAA championship ring sitting in my room and a picture with then President of the United States, sitting on top of my fire place, a luxury given only to those who win the national championship every year in their sport. I have learned much about me and the game that I love. But more importantly, it is the experiences with my teammates that stay with me the most. I can remember my freshmen year duties, frustrated at loading and and unloading the van and now, I continue the tradition from a different angle, bossing David Chung. I remember my sophmore year shooting 66 during qualifying only to find out that I was in 5th place behind Miller and Savage's 64. And now senior year, with my last US Intercollegiate at Stanford on the horizon, I practice harder and dream of defending what Coach Ray annually calls our "home turf". But, it is not alone. Like yesterday, with weather.com warning of high winds, up to 46 miles per hour, there were my teammates. 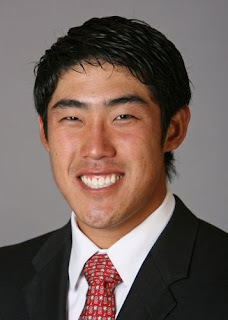 David Chung was hitting his 8 iron about 100 yards, Sihwan was hitting shots that went backwards for fun, Steve Ziegler was out enjoying himself with ear muffs, while both Dodge and Joe were hitting their 9 irons probably 200 yards at the other end of the driving range. I can't wait to see what happens this weekend and importantly, what awaits us in May and June.